Frank Phoenix International Corp. was established in 1990 and mainly manufactured and supplied the mold making related milling machine, lathe, grinder...etc. the kind of conventional machine tools and their accessories. ‧ Benefit is for sharing and trust is based on mutual effort. ‧ The insistence of product's grade and quality is the guarantee of company's credit. 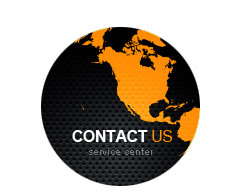 ‧ The insistence of efficient service is the guarantee of customers' satisfaction. With our past well-experience being asked by our world wide cooperative agents to assist, handle and supply them different kinds of machine tools, components / accessories other than our present ones plus our long and good cooperative relationship with most of the Taiwan machine tool and component / accessories manufactures, we trust that " Frank Phoenix" could be seriously considered to be your main supply partner in Taiwan. We surely are able to provide you the best convenience and efficiency for your inquiring and purchasing as well as the reliability at the quality and price.